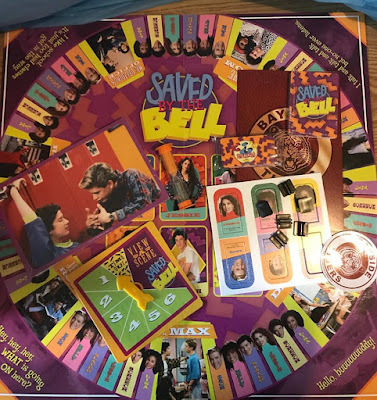 We received the Saved By The Bell Game from Pressman Toy Pressman Toys to review as a family. We had lots of fun playing this game, it is already one of our favorites! Part of the reason is because this was a fave show of mine back in the 90's. Classes are back in session at Bayside High School! You’ll be reaching squad goals with Zack, Kelly, Slater, Jessie, Lisa, and Screech as you hit the school hallways or visit The Max, a favorite café hangout. 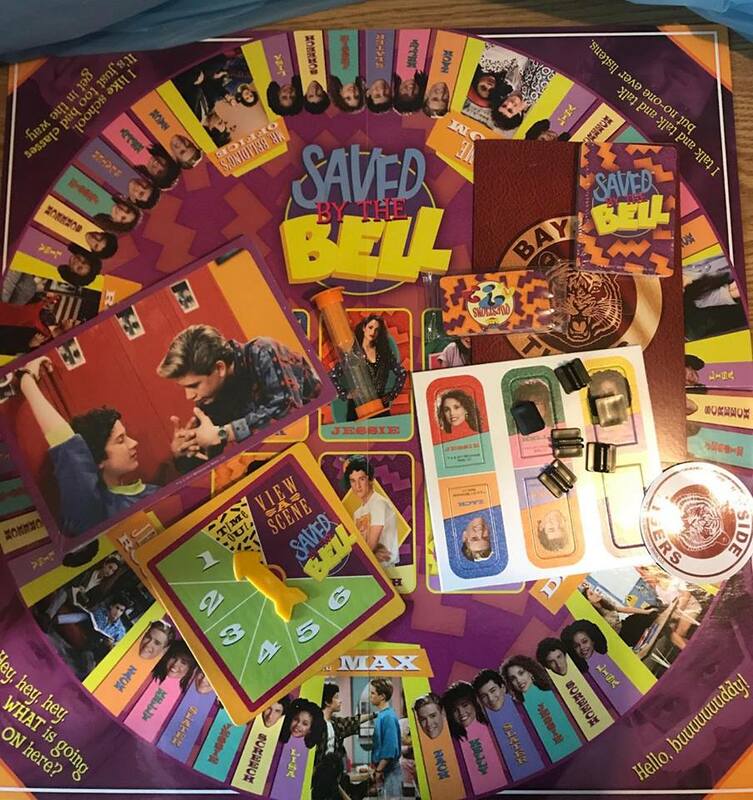 In the official Saved by the Bell Game, you’ll relive the classic 90’s sitcom and the unforgettable episodes. Your homework assignment: Be the first player to collect one of each Character Card, or 3 Character Cards of the same player. Once you spin “View a Scene,” you’ll have a few seconds to glance at snapshots of classic scenes from the show. Be prepared to answer random questions. So, study and don’t flunk this memory test to win a Character Card! 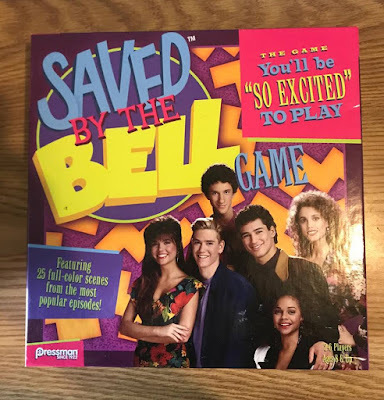 I did not know there was a show Saved By The Bell. I guess I was too busy raising kids that I was not able to watch much TV. Anyway, I think this would be a great family game to play. My daughter loves memory games. She'll probably win the first time we play this. This is awesome! I remember watching this show when I was a kid. I would love to play this game. Wow there is a new game, crazy! 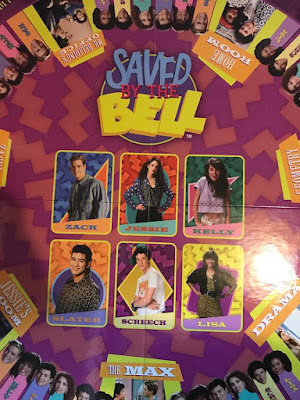 I hope those kids from Saved by the Bell get residuals from their show! It has been many years since I have watched it. I hope to play this game soon - what a blast from the past. 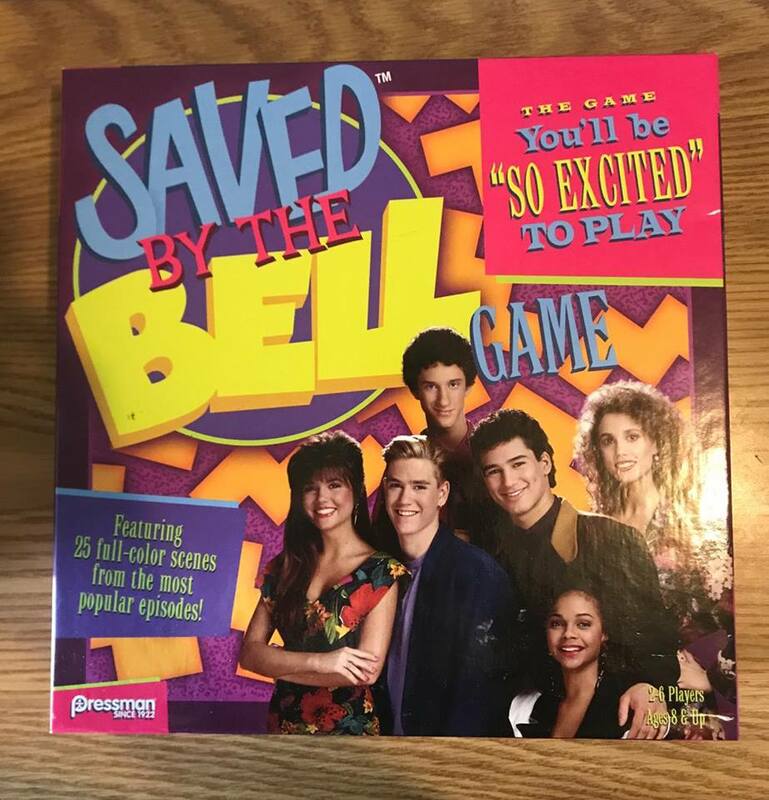 We loved Saved by the Bell! This saved by the ball game sounds so fun. Loved this show. Wow, this game really brings back memories! I had no idea this game existed and I think it would be a hilarious game to play on a girls night! Oh my! This game is my game and i miss playing this. I loved this show. Oh my stars. My best friend had a thing for this show.